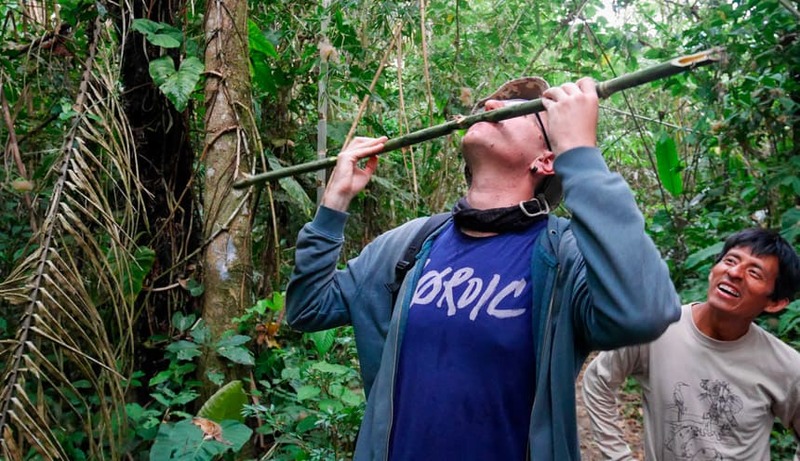 A Glimpse into Peruvian Heritage and a Dive into Manu National Jungle! 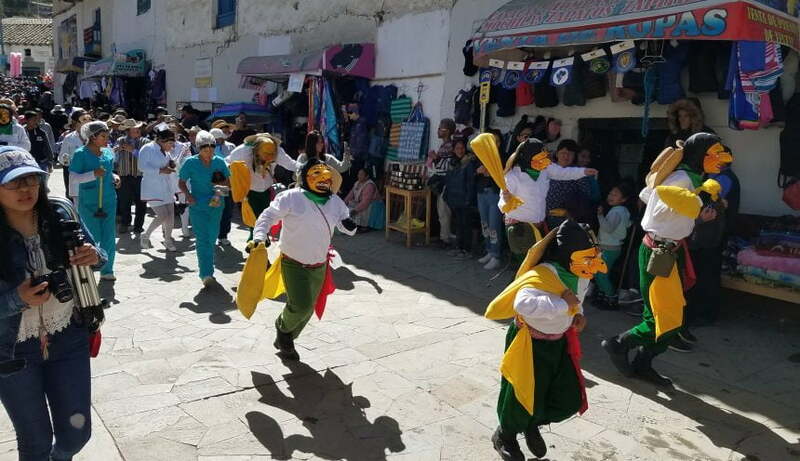 Our five-days Cultural Expedition is for the lucky few who will be in the Cusco Region during the St. Carmen Festival but also those looking to experience the Peruvian jungle. This tour starts by spending our first day in the city of Paucartambo, where the Paucartambo Festival takes place and the centre of all the celebrations. 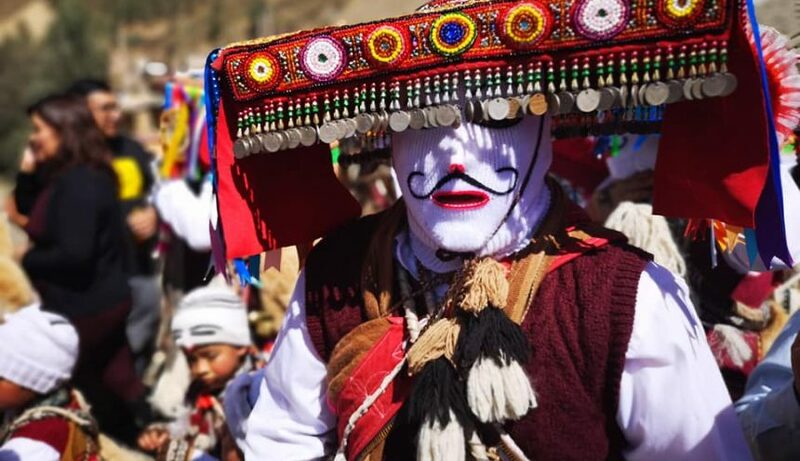 We’ll be deeply immersed in the Incas and Pre-Inca’s ancient times, listening to comparsas relating history stories and anecdotes along with lively music and traditional dances. A morning mass will be held followed by colourful bands and dressed up dancers, parading and showing their talents up until the procession of St. Carmen which will be taking place in the afternoon. This is an experience like no other, and the beginning of a wonderful journey. Read our post and learn more about the Festival of St. Carmen here. After an incredible lively and cheerful festival, be prepared to witness yet another amazing scenery happening on the edge of the rain-forest, Tres Cruces, we’ll be spending the night there, allowing us to experience the calm and serenity of the jungle first thing in the morning, waking up to the sunshine filtering through the tree leaves, surrounded by flowers, plants and many different animal species, calling this place, their home. Fresh air and natural sounds are extremely relaxing and will make this adventure a once in a life time experience. We’ll access the lower part of the jungle via a motored boat ride. The boats are all handcrafted and made from local Balsa wood. There, we’ll get to enjoy the beauty of the Madre de Dios River as the wind gently comes, stroking our faces. This excursion will also give us the opportunity to experience an amazing journey on the Machuwasi lake, where you will get to see and hear some of the gorgeous birds living nearby. Afterwards, we will enjoy a pleasant hike through a forest of giant Ceiba trees with one being more than 400 years old tree. With this tour, you are guaranteed to experience the wonders of the Manu forest. The first day of the tour starts early in the morning, leaving from the beautiful city of Cusco before the sunrise. 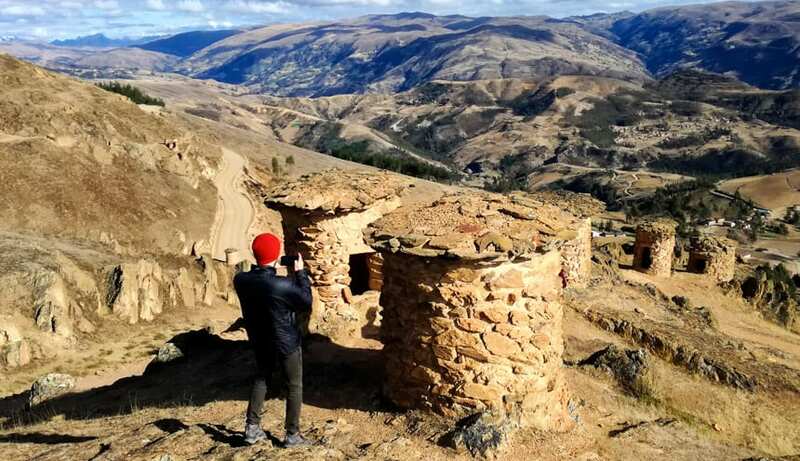 After a 2-2.5 hours’ drive to witness the sun rising over the ancient cemetery of Ninamarca, we’ll take a look around this beautiful site and explore the 30 pre-Inca Chullpas. Chullpas are small towers, built to hold and honour the mummies of deceased nobles. From there, we will continue to the town of Paucartambo. This will be on the 16th July, which is the main day of the St. Carmen festival and the most popular day to visit. We will attend the mass of St. Carmen, watch all the colourful characters proceed into the church, the choreographed dances to lively music, and taste the best food the festival has to offer. Be ready to see things you’ve never seen before, in the beautiful town of Paucartambo! After our time at the festival, we will head to the axis of the high jungle, Tres Cruces. We’ll be spending the night there and get ready for a beautiful sunrise the following day. We’ll start the day at Tres Cruces, our transit point into the cloud forest of Manu. Luckily, by waking up here, we will observe a magnificent view of the sun rising above the rainforest. After eating breakfast, we’ll start our adventure into the Manu National Park and will stop along the road to do short treks where we will watch birds and hopefully see monkeys climbing trees! You will be amazed by the endless green landscape the forest will offer us. At around 1:30 we will arrive at the peaceful Bambu Lodge where we will have electricity and, therefore, a chance to charge any equipment, like cameras, you might have brought. After enjoying a short break, we will be served dinner around 6:00 pm. If you are feeling adventurous, when the night settles in we could go for a walk around the lodge. The nightlife of the jungle brings out animals you are unlikely to see during the day, if we’re “lucky” we might even find a tarantula or two. We will rest at the lodge for the night and enjoy the pleasant sounds of the wild, while we drift off into a replenishing sleep. On day 3 we will get up bright and early, at 5:00am, for a delicious breakfast! We will be leaving the Bambu lodge at 5:30 am and start our trip to the small port town of Atalaya. On our way there, we will stop at a local market where we will get a chance to buy food and drinks. You could even try to cut your own coconut… if you can manage it! Once arrived in Atalaya, we will unpack our things and load them onto a long boat. A local will then take us on a 40-minute boat ride along the sublime Madre De Dios river. We’ll then reach the Soga de Oro lodge, unpack our stuff and have a quick rest before stepping back on the boat. From there, we’ll travel to another part of the jungle where we’ll be hiking for a couple of hours. During this trek, we’ll come face to face with the Machu Wasi Lake. After stepping onto a flat raft made from balsa wood gathered from local jungle trees, we’ll gently float along the lake and appreciate the relaxing nature surrounding us. Many birds should be perched along the lake, making sounds and singing as we watch them. Don’t forget to bring your binoculars! Once refreshed, we will head into the jungle looking for more animals, but more specifically, tapirs. The tapir is a very unique looking animal who is similar, in some ways, to a pig and has a small, flexible trunk. These herbivores enjoy water and are excellent swimmers… just make sure to approach them slowly as they can easily scare and run away. Around 7:00 pm, we will enjoy dinner and then have free time to explore the area before we call it a night. An early morning adventure awaits us on day 4. Starting at 5:00 am, be prepared to head to the Chuncho Macaw Clay Lick by boat! 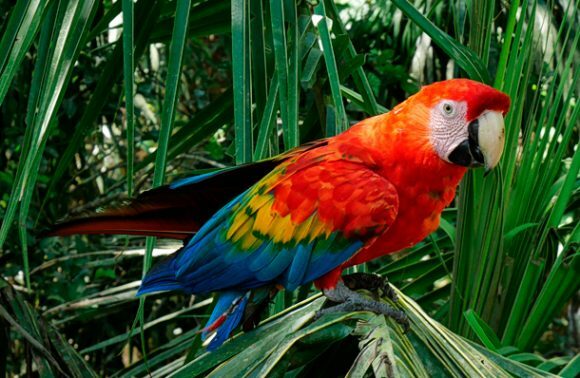 There, we should be able to observe a variety of Macaws (parrots), hanging from a clay cliff which contain several minerals thought to be important to the bird’s digestion and health. Flocks of these birds fly there early morning for reasons which researchers are still studying. Once back at the lodge, we will be having breakfast around 7:30 am. Afterwards, we will start our journey to a forest of giant Ceiba Trees which will be rising above us. These trees are ancient and some have been around for more than 400 years. The centre of our 2-hour hike will present us with one of the oldest trees in the jungle, which has a trunk that is several feet thick with roots swelling above the ground, so much that when you stand in between them they will come above your waist. The vastness and ancient nature of the jungle will provide you with a truly humbling experience. We arrive back the Soga de Oro lodge at about 1:00 pm where we are served lunch. We’ll then travel by boat for 40 minutes back to Atalaya and drive for approx. 40 minutes to an animal sanctuary. 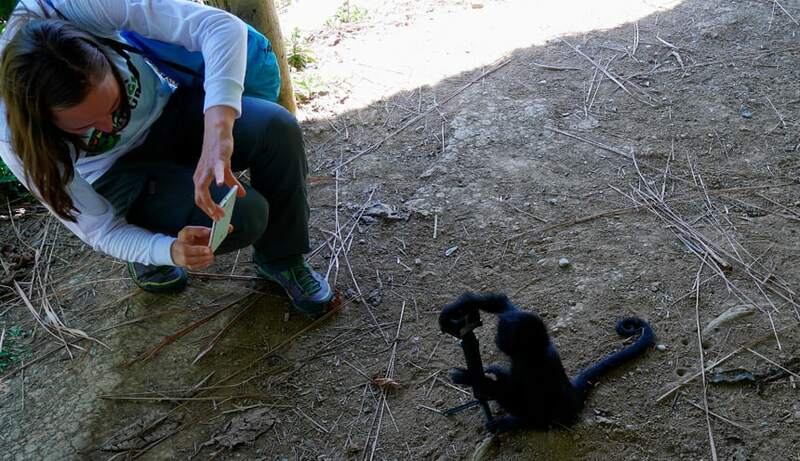 Monkeys, macaws, and other animals live happily there, under the care of some very kind people. You’ll have the chance to see these wonderful animals up close and even get to interact with them! From there, we will proceed towards a small community to meet locals and have the opportunity to do some shopping for textiles and clothes made with materials from the surrounding jungle! Finally, we’ll arrive back at the Bambu lodge at about 5:30 pm. After a short break, dinner will be served around 7:00 pm. The rest of the night is yours to explore or rest before the last day of the tour. On the final day of our tour, we will be having breakfast at 6:00 am before our trip back to Cusco begins. Along the road to Tres Cruces, we will make a few stops to do some short treks and try to see even more animals. We will be keeping a sharp eye out for anything that moves, so have your camera ready! 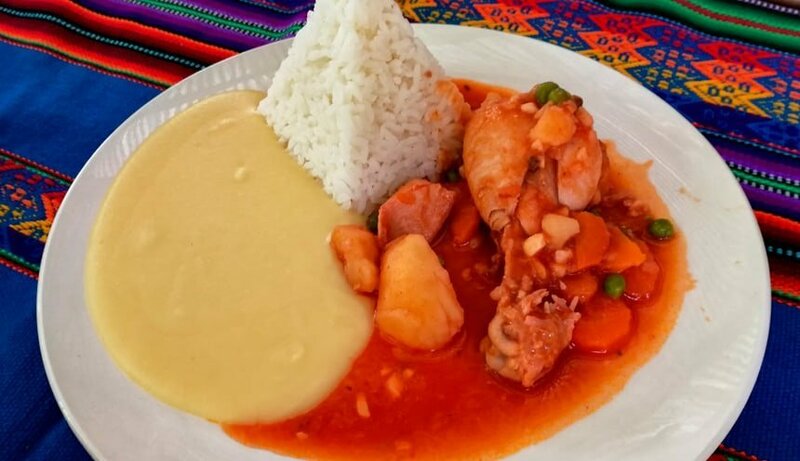 We will stop on the road around 12:00 pm for lunch and should expect to be back in Cusco between 3:00 to 4:00 pm. Your “Manu Cultural Zone Expedition” tour will end on this day in Cusco. If you would like to stay in the Cusco region or Peru longer and explore more, feel free to contact us. We are happy to modify our tours so that they meet your tastes and expectations.